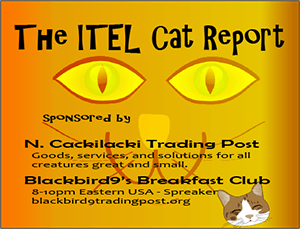 Karin Smith, White Genocide SA on ITEL Radio – 10.24.15 | Inside the Eye - Live! 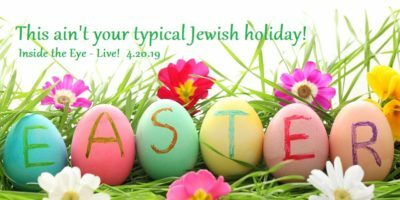 Karin Smith, a S. African Afrikaaner married to an American and living in Texas, joined Inside the Eye – Live! to discuss some of the latest developments regarding the ongoing genocide of Boer’s and Afrikaaners by the largely black run government of S. Africa. From the early history of S. Africa to current situation revolving around the squatter camps where nearly 1 million Afrikaaners and Boers live, Karin’s presentation was both insightful and powerful. The interview began with Karin speaking comparing and contrasting her time as a child in the “pre-independence” countries of Rhodesia (now Zimbabwe), S. West Africa (now Namibia) and S. Africa and the current state of these nations now. She described Rhodesia as a country that was quite beautiful with first world facilities for education and more, while S. West Africa, being a German colony, was a country highly ordered with an infrastructure that worked. She left with her family as a young child from Rhodesia due to terror attacks on the White population, migrating to S. West Africa, and then further on to S. Africa. Today, Zimbabwe is a known economic basket case with money denominated in the trillions are shown by the above 100 trillion dollar note, while S. Africa has imploded to the point of no longer being able to provide for its own electricity. Each of these countries are largely social and economic basket cases today in Karin’s opinion. Karin delved in to some of the early history of S. Africa, from the time it was a trading post to the 1st and 2nd Boer Wars that saw the Afrikaaner and Boer populations decimated and largely displaced. 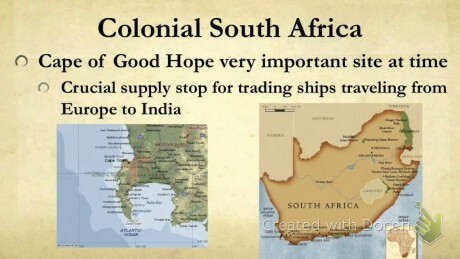 As an early settlement, the Cape of S. Africa largely served as a trading post and rest station for ships traveling to and from India. The Dutch East India Tea company sponsored a settlement and way station. At this time, the southern tip of Africa was essentially uninhabited save for a small tribe known as the KhoiKhoi who were small herdsman. It wasn’t until 120 years later that the early settlers of S. Africa, migrating north to escape British rule, encountered the warring Zulu tribe that was moving south after conquering every tribe in its path. With the discovery of gold and diamonds in the 1800’s, the southern tip of Africa became strategically important to the British empire. 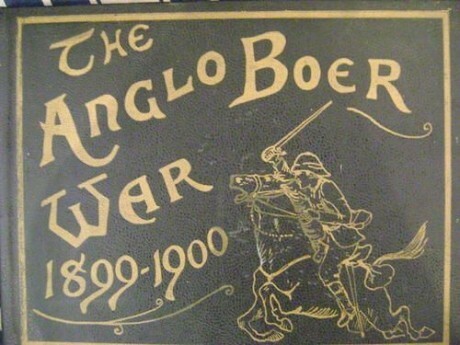 This culminated into two wars, known as the 1st and 2nd Boer Wars. The 2nd Boer War proved to be disastrous to the former Dutch colonialists as British forces instituted a scorched earth policy to subdue the former Dutch colonists. As Boer farms were destroyed by the British under their “Scorched Earth” policy – including the systematic destruction of crops and slaughtering of livestock, the burning down of homesteads and farms, and the poisoning of wells and salting of fields – to prevent the Boers from resupplying from a home base many tens of thousands of women and children were forcibly moved into the concentration camps. This was not the first appearance of internment camps. The Spanish had used internment in the Ten Years’ War that later led to the Spanish-American War, and the United States had used them to devastate guerrilla forces during the Philippine-American War. 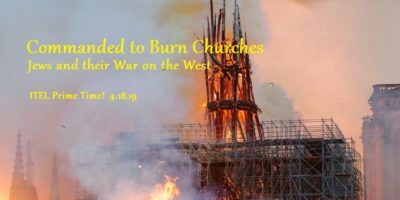 But the Boer War concentration camp system was the first time that a whole nation had been systematically targeted, and the first in which some whole regions had been depopulated. 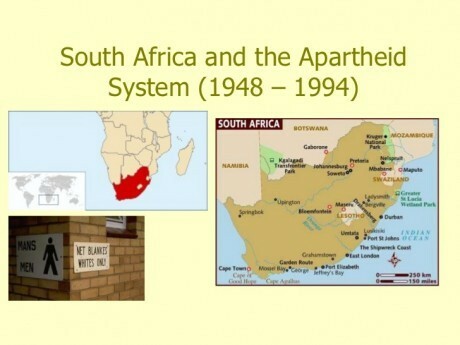 The show also discussed the rise of the Apartheid System in which there was a recognition that forced integration and assimilation simply did and does not work. This resulted in the Boer and Afrikaaner populations agreeing to provide at their cost homelands and the necessary civil infrastructures to the various tribes within which the Boer and Afrikaaner populations found themselves admixed with. This system, Karin posited, was largely successful for both blacks and Whites until its systematic demise in the 1990’s. The fall of White S. Africa has again turned to a disaster for the Boer and Afrikaaner (White) S. Africans, with nearly 65K killed and over 1 million now living in displacement camps not much different from what the ancestors of these people experienced during the Second Boer War. 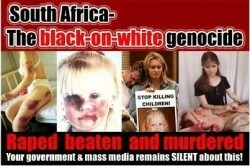 Coupled with aggressive anti-White legislation and active violence against S. Africa’s White population, the Boer and Afrikaaner populations now find themselves in a very tenuous, life threatening situation that many are beginning to recognize as a planned genocide of S. Africa’s White population.